Create a richly inspired decoration with colourful, graphic and bold patterns from the famous Finnish brand Marimekko. Created in 1951, Marimekko is a state of mind, a way of living based on creativity, freedom of spirit and inventiveness. Its renown dates back to 1960, the year when Jackie Kennedy made several public appearances in dresses created by Marimekko. From that moment, the brand became immensely successful, and still is today, with a range of clothing and decorative accessories in bright colours. 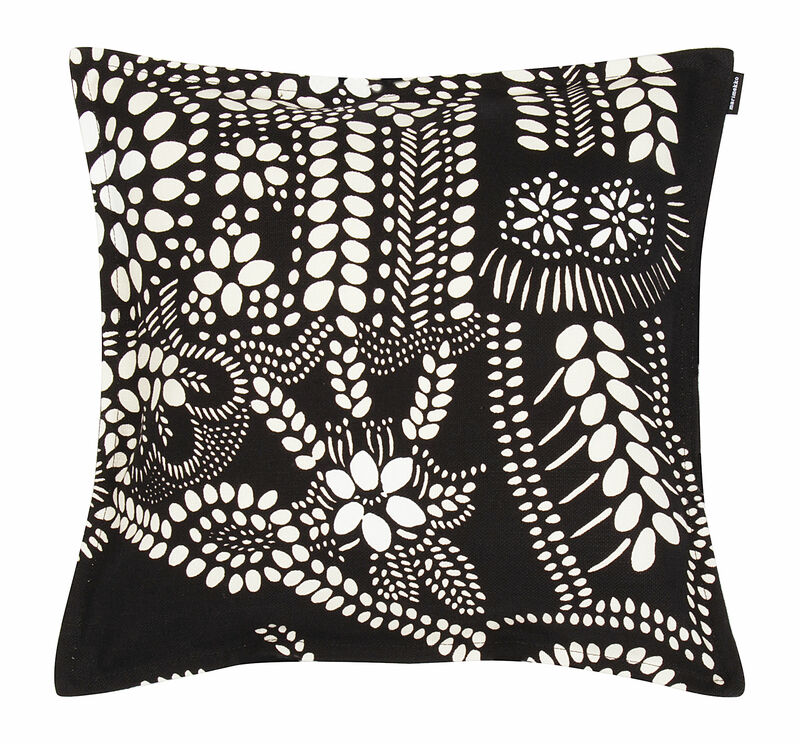 Cheerful and chic, the collection of Marimekko cushions brightens up your interior! Their original patterns blend together wonderfully: you’ll love mixing and matching these stylish cushions to add a cosy, trendy touch to your sofa or bed. They are also soft and super-comfortable thanks to their hypoallergenic polyester filling! Adorned with intertwining flowers from folklore, the Näsiä pattern was designed by Maija Isola in 1972: a spirit both vintage and trendy!